Big love for the thriftstore in my village! Yesterday I bumped into this beauty. 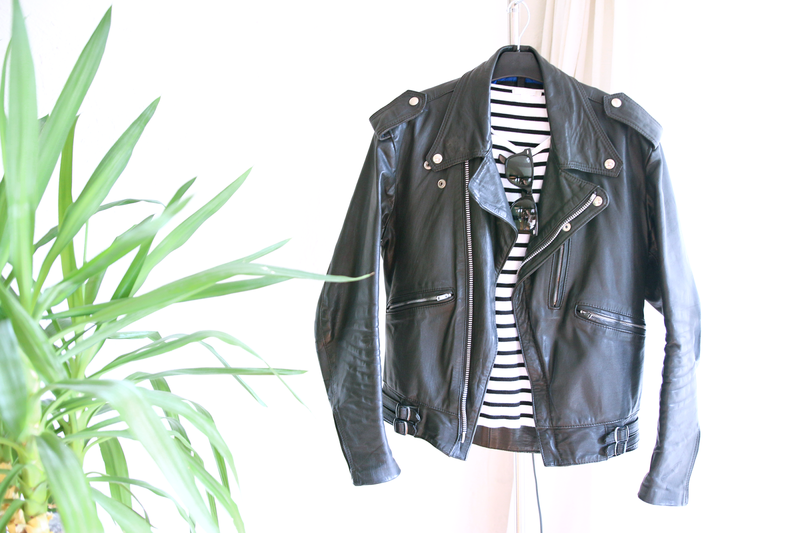 It's rarely that you find a vintage leather jacket in a smaller size. This is a size 38, so still a bit oversized for me, but that's ok. It got a great blue lining which I will show you later, further it got no brand and the label only says made in England. Do you see how many pockets and zippers this leather jacket got? Even on the inside, yeah! Oh wauw, wat een perfect leer jasje! Great jacket! I love it! Wauw wat een great find! Wauw, wat een goede koop! Wohooooow, supermooi! En is't echt leder? Ah wauw die is echt heel mooi!